“UN-SHINED SHOES ARE THE END OF CIVILIZATION!” Diana Vreeland ~ DV Perfume Launch at Neiman Marcus. 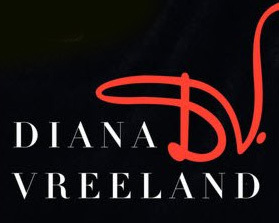 You better believe I had my new shoes polished to within an inch of blinding the populace when I went today to Neiman Marcus for the launch of Diana Vreeland Perfumes. It was an amazing event hosted by Tony Mendez the rep for the line at Neimans. He pulled out all the stops as you will see in the video. 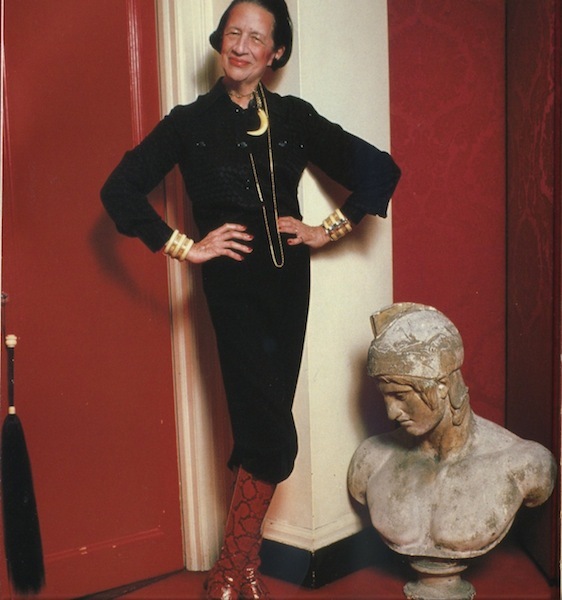 The documentary on Mrs. Vreeland “The Eye Has To Travel” was even running on a widescreen television. Well it was Absolutely Marvelous! My review of the perfume I chose from the line will be up later this weekend. But in the meantime, won’t you join me? PERFUME IS STYLE, IT IS VITAL! 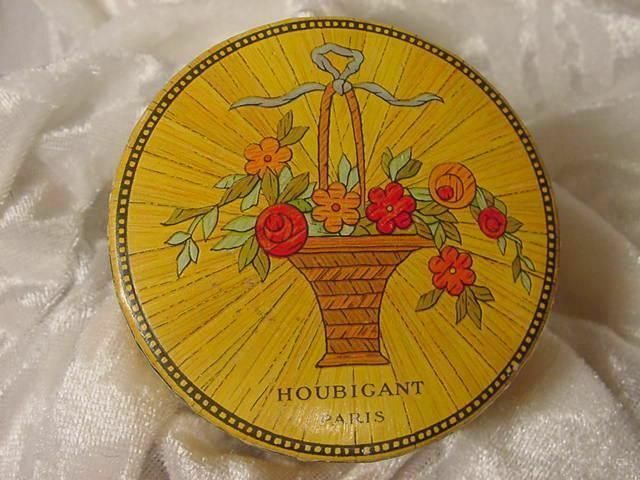 ~ Vreeland Perfumes Launch & The New Houbigant Perfume! October 14, 2014 …Mark your CALENDAR! 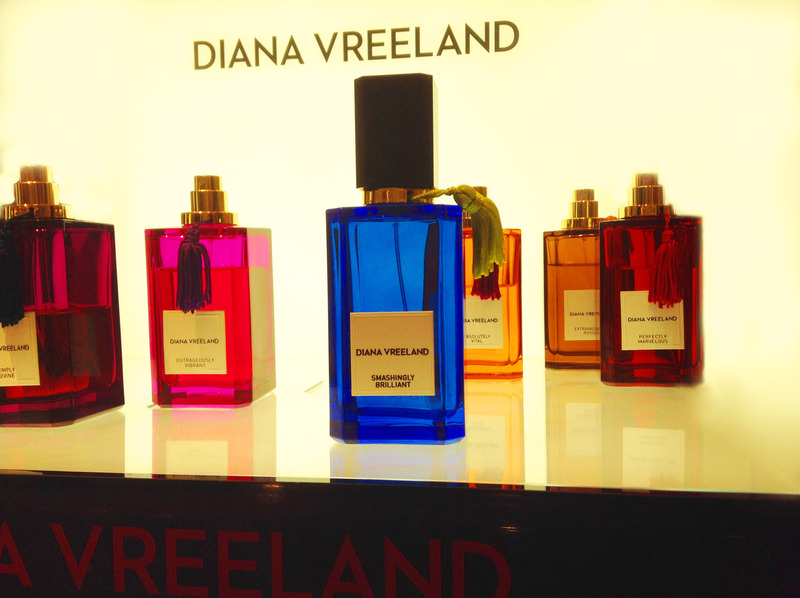 Here in San Francisco the official launch for the Diana Vreeland line is happening at Neiman Marcus Union Square. 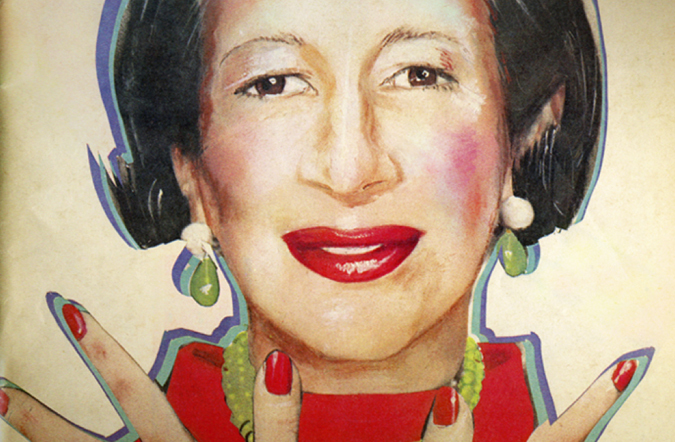 Alexander Vreeland founder of the perfume line and grandson of Mrs. Vreeland will be in attendance. D.V. 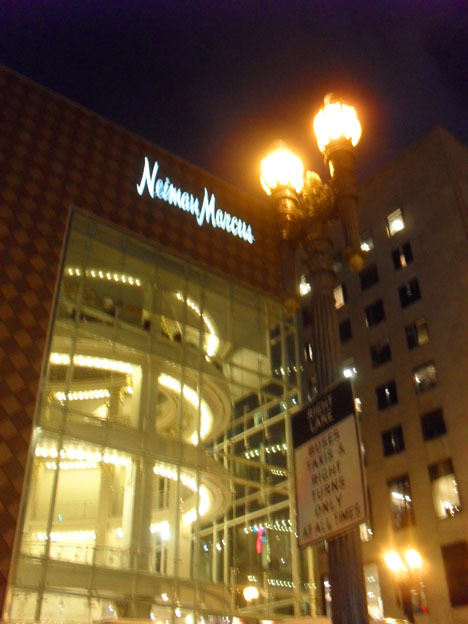 ambassador, Tony Mendez will be our host and he has planed for us a fabulous afternoon under the dome at Neimans. But hold on to your atomizers! 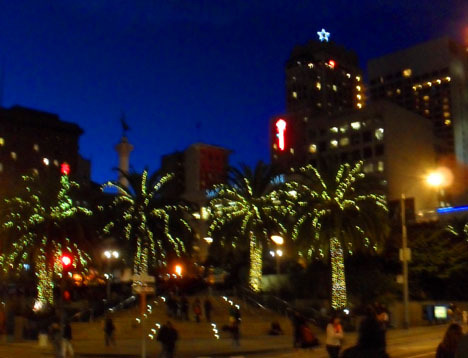 there is more going on in our beautiful city by the Bay. 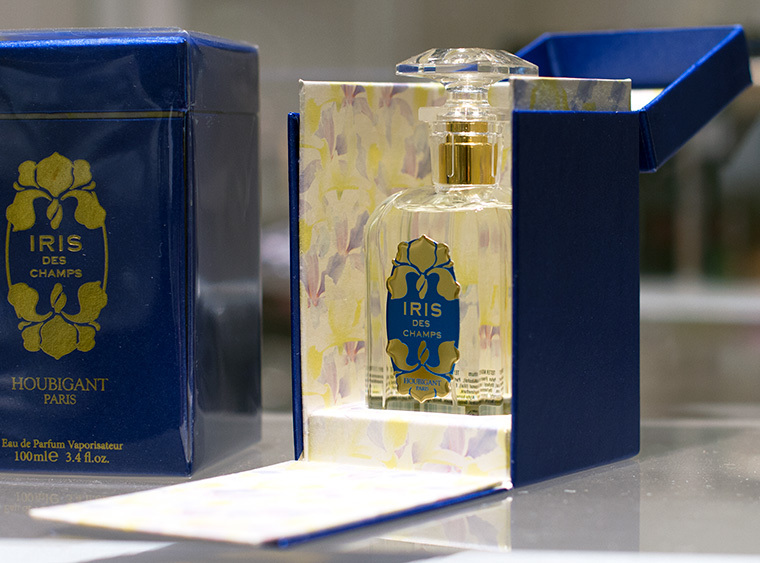 October 11 at Neimans Michal Gazinski will be presenting the gorgeous new Houbigant perfume Iris des Champs. This stunner is a real show stopper and sure to be a hit with an adoring perfume loving public. So if you are in the San Francisco Bay Area do pop in for both events. As we tumble into Fall the most glamorous perfumes of the year are making their entrance. Here in my video review I talk more about these perfumes and the events as well as a marvelous fragrant dinner I attended with with a wonderful group of perfume creators and lovers which for a lack of a name I call the San Francisco Perfume Salon. PERRIS MONTE CARLO COMES TO TOWN! 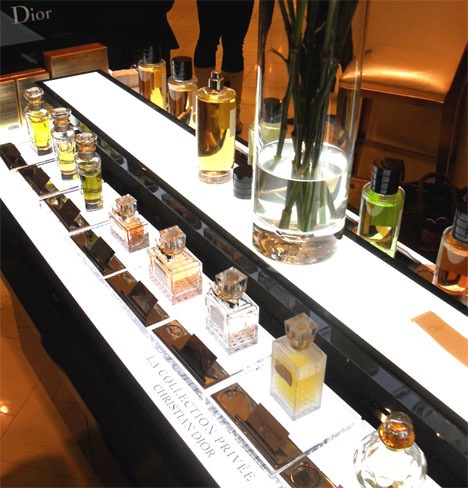 ~ Fragrance Event At Neiman Marcus San Francisco. 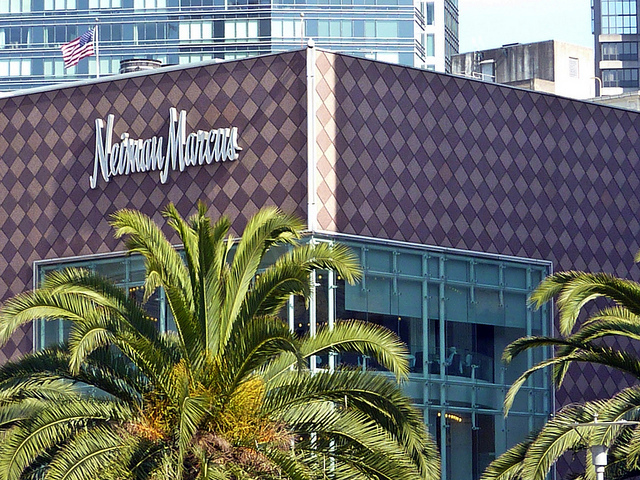 This October 12th at Neiman Marcus San Francisco there will be a very special fragrance event. Our ambassador of fragrance at Neiman’s Michal Gizinski will be presenting the brilliant Gian Luca and Elisabetta Perris to San Francisco. The Perris Family are the force behind the perfume house of Houbigant Paris, Corso Como and the creators of Perris Monte Carlo Perfumes. the much anticipated arrival to our city of two very exciting perfumes of very special merit. These exceptionally singular perfumes are only two of five new fragrances to come from this exciting perfume house. We will be able to enjoy the glamour and beauty of Rose de Taif and the deep sensual allure of Oud Imperiale. 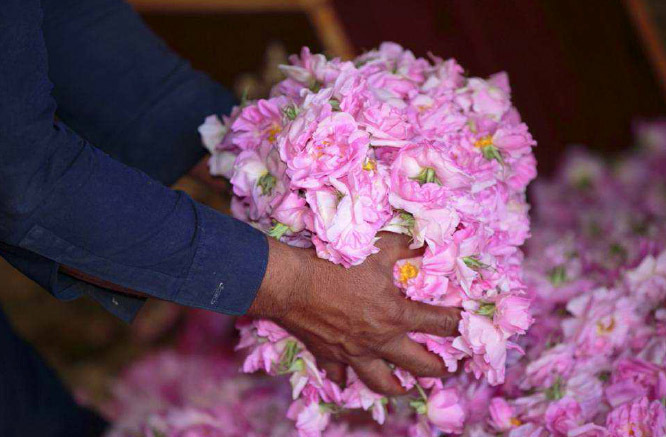 Rose de Taif is made from the very rare Taif rose which is grown in Arabia high in the mountains at above 4,000 feet. The combination of the altitude and mountain rain makes this particular rose a much sought after flower for the creation of perfume. Its cherished blossoms are picked only at dawn to preserve the oils within it at its most lush and beautiful. The extraction of the oil is very unique and time intensive. 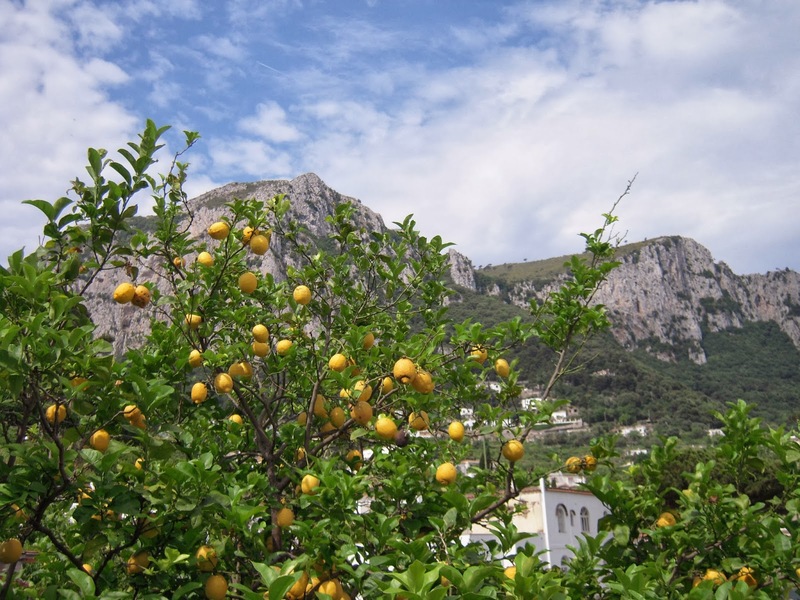 Just to give you a hint of what Rose de Taif perfume is all about, the top notes are lemon, nutmeg, and geranium. The heart is the gorgeous Taif Rose, and the base notes are Rose Damas absolute and Rose Musk. If you are a rose perfume lover you are not going to want to miss this event! In the equally enticing Oud Imperial the top notes are Jasmine and Cumin, The heart unfolds with Oud, incense, patchouli, and saffron. 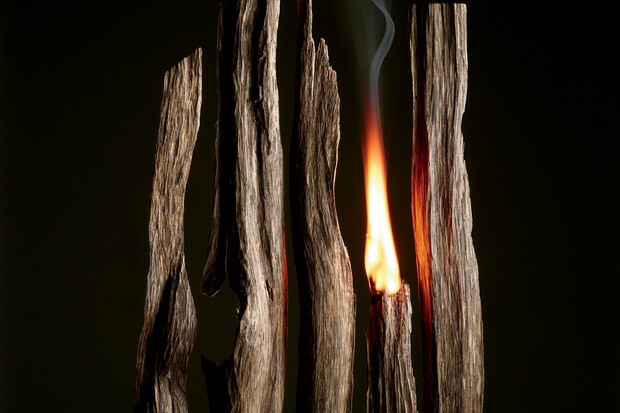 And the dry down consists of sandalwood, Cedar, Javanese Vetiver and Blackwood. 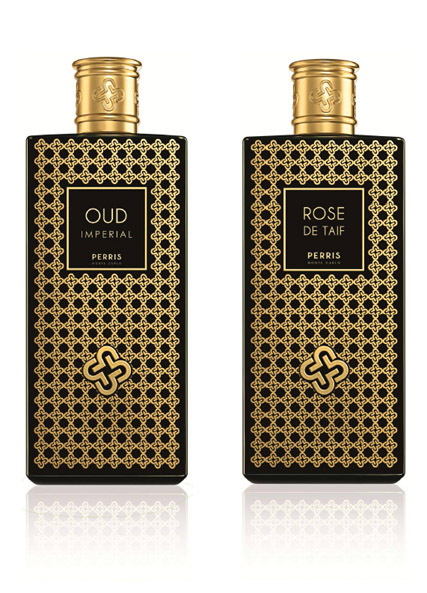 The oud used in this perfume is of the best quality and costs $27,000 a pound. 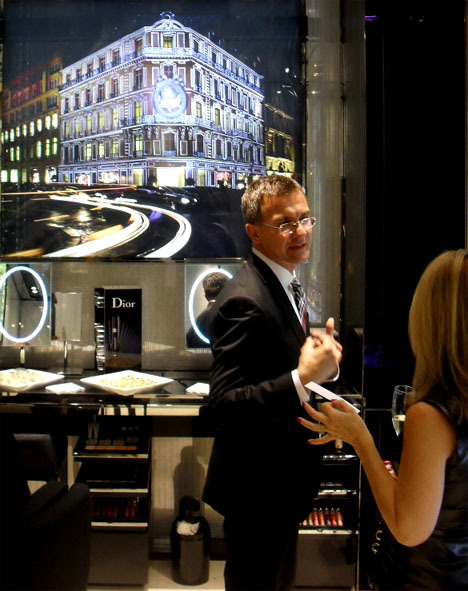 If you live in the San Francisco Bay Area be advised to mark your calendar for October 12, 2013 (time to be advised in an upcoming post) to join our host Michal Gizinski of Neiman Marcus and Gian Luca and Elisabetta Perris for the olfactory event of the season. New shoes clicking along the sidewalk up Stockton Street gave rhythm to my excitement as I approached Neiman Marcus for the opening night of La Collection Privée Christian Dior and the new Dior Boutique. I was on my own for the event and as always in such cases a bit shy on entering into the social swirl of such abundant and easy glamour and glitz. 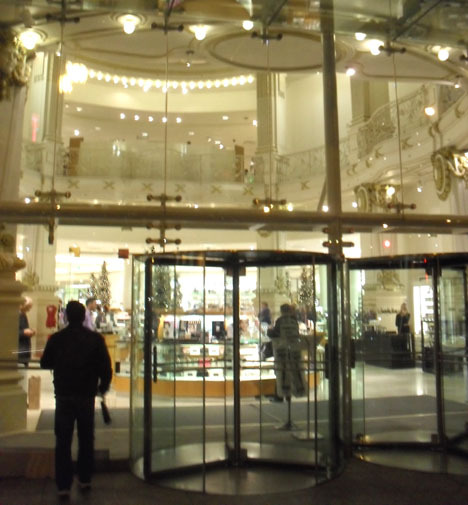 I took a few moments to warm up to the idea as I snapped a few shots of the glass encased rotunda of one the most beautiful department stores in Union Square. With eminent rain bearing down on the city from the Gulf of Alaska I decided it was just about the right time to go in. 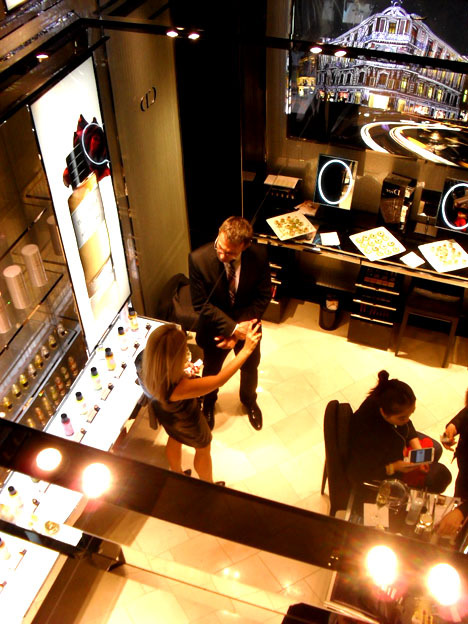 The first floor of the rotunda of Neiman’s is ringed with glittering boutique after glittering boutique. The usual suspects are lined up around this arena of glam, Chanel, Guerlain, Tom Ford. As you move along on what feels a little like a circular fashion show catwalk around the rotunda, all eyes from behind crystal and chrome counters turn to greet you…and always the eyes are smiling. There just past Chanel in about the best spot possible (not too close to the door and not buried beyond the rotunda) is the brand new Dior Boutique. The New Look has arrived at Neiman’s and it is as fresh and beguiling as it was in 1947. 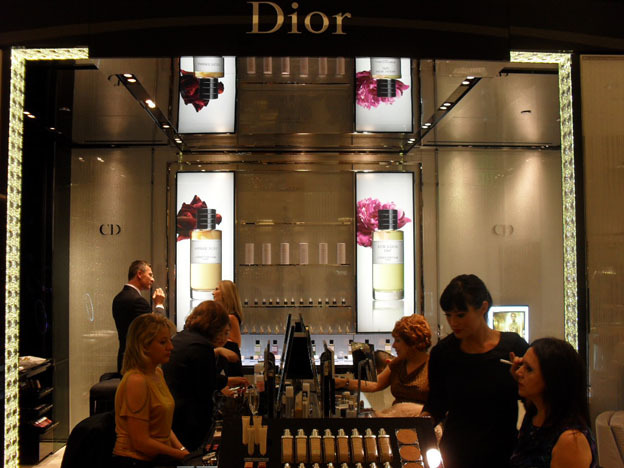 Dior never looked better than here in gleaming black and white. A gorgeous elegant design has been executed in small yet comfortable space. 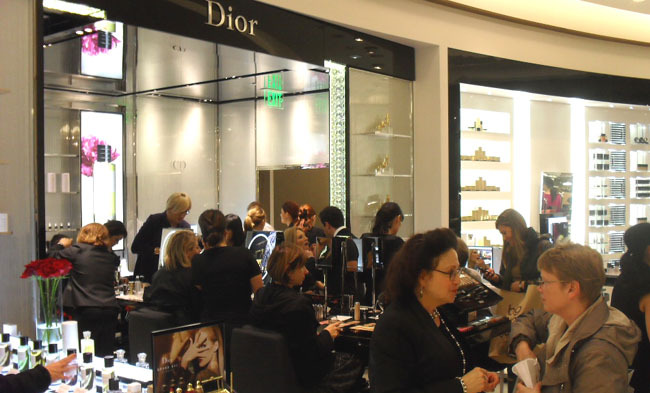 Within it accommodates the stunning showcase of the perfume line as well as a very efficiently laid out makeup demonstration area in the center. Even with the event in full swing it was easy to move around. The lighting is superb and with mirrored ceilings it is defused and flattering. Music filled the rotunda provided by a lovely violinist which added a touch of Baroque elegance to the entire feeling of the affair. Accompanied by a cascade of classical notes Hillary Rayvis Randall, turned to greet me, stunning in black with her hair up like Scarlett going to Ashley Wilkes Birthday party she was the picture of sophistication. The last time we had met about three weeks ago she had informed me that “Something wonderful” was in the works and this was it! 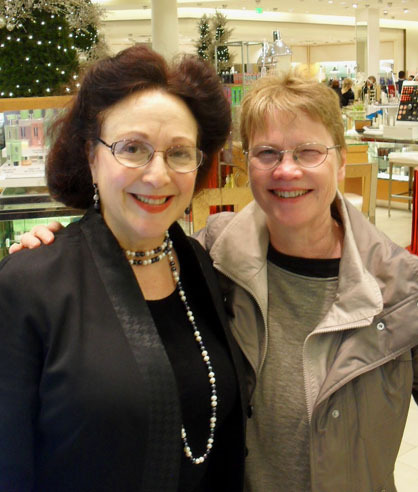 Always gracious and the perfect hostess Hilary, introduced me to the delightful perfume collector Mary Eddington. Champagne and canapés appeared as Hilary invited me to smell Mary’s wrist where she had just sprayed Ambre Nuit and on her thumb a bit of Mitzah. This was my first introduction to the Privée line. I wrapped my nose around the scent from Mary’s presented for inspection wrist and I fell into the garden of earthly delights. The Ambre Nuit was all amber, pink pepper and roses. The Best Rose I have ever smelled in perfume and the Mitzah is all about incense cinnamon, spices and honey. 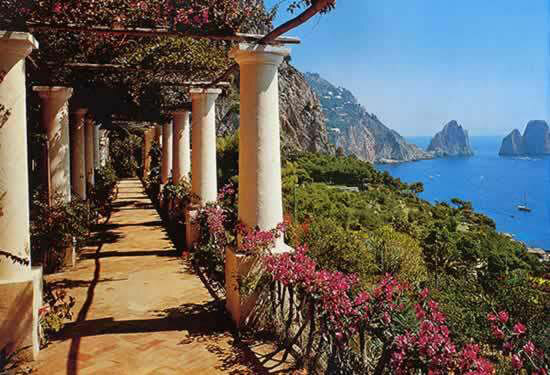 “It is like passing from a cloistered rose garden into a cathedral at Easter Mass.” I noted. As Hilary excused herself to greet new arrivals Mary and I got down to the business of “How did you first get into perfume?” On this question we met on common ground. It was all about our mothers and exploring the wonders of their perfume vanities as little children Dusty late afternoon sunlight streaming through gauzy curtains that fell upon mirrored dressing tables loaded down with glittering scrumptious treasures. 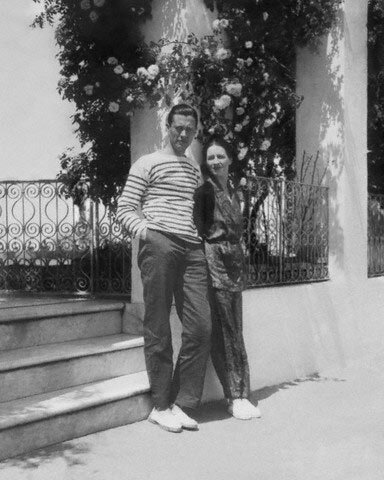 Mary told me how almost excruciatingly exciting it was to go shopping in San Francisco when she was a little girl. Entering in open mouthed wonder the old and long gone venues such as The White House, and The City of Paris, and how the glamour of it all was near to overwhelming. She was hooked at a very early age. If I recall correctly her first love was Jicky by Guerlain. We also shared stories of meeting Andre from Jacqueline Perfume shop and how he was really a San Francisco treasure. It turns out I was not the only person afraid to go into Jacqueline. 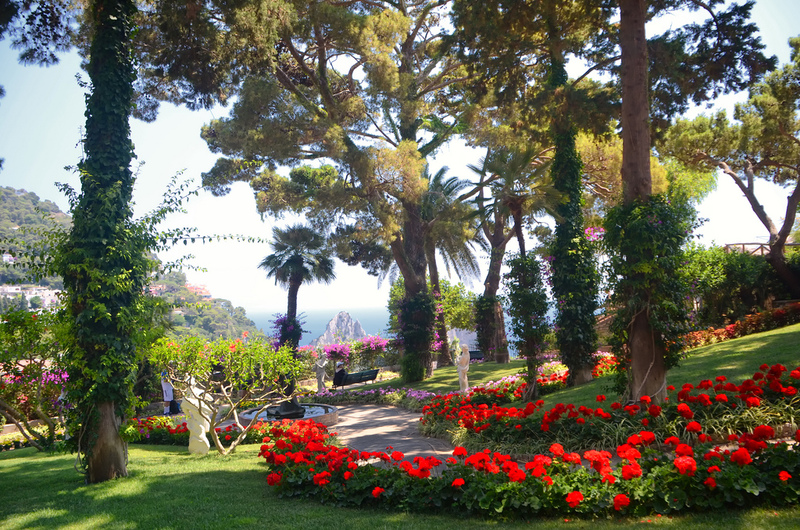 But our fears were unfounded; if you have a passion for perfume Monsieur Andre will sense that and take you on a tour of his enchanted garden. We agreed that we both loved the adventure of perfume and the excitement of discovery of a new scent. The fun involved in opening notes and exploring and deciphering notes as a perfume unfolded in three acts. I mentioned that I had heard that Diorella was a great fragrance that was not only suited for a woman but worked well on a man. That led us to a bottle. It was very nice but as we explored together Mary and I both agreed that Dioressence was perhaps better on my skin. That explosion of aldehydes gets me every time. 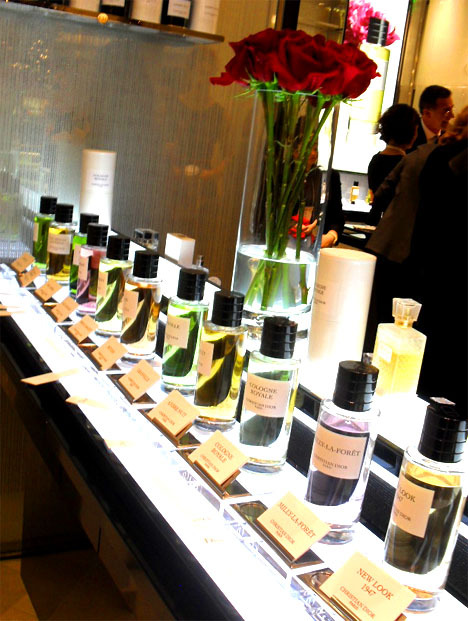 Hilary was across the display where the Privée stars were lined up in their dazzling colors in their simple chic gloriously huge bottles. She invited us to join her. When I mentioned that I liked the Mitzah on Mary Hilary said with an impish twinkle: “I have just the thing for you, Oud Ispahan.” Oh yes Hilary knows my love for Orientals and she was right. Oud Ispahan was singing to me its song of sensuous seduction. 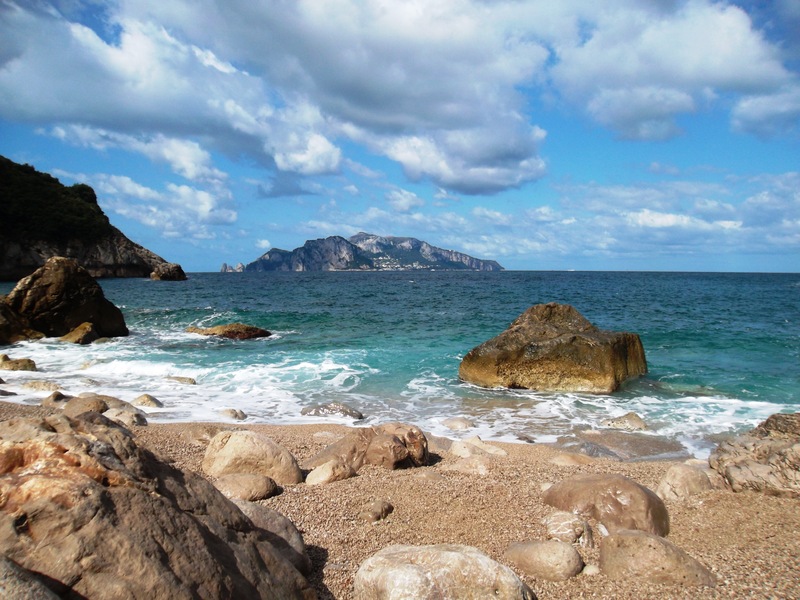 Like the most wonderful rendition of Bali Hai in French! From there Mary and I sampled on cards each and every bottle of the Privée line. Some stand outs for me were Vetiver, a woody wonder. Cologne Royal, classic citrus eau de cologne. 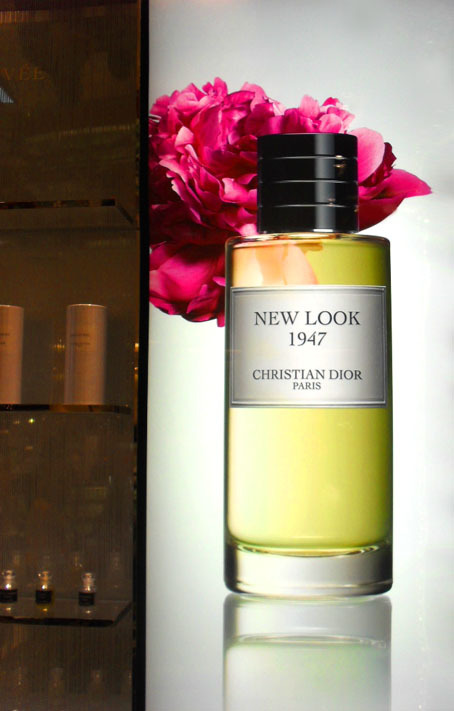 New Look 1947, Parisian perfection rich and seductive and of course Mitzah and Oud Ispahan. As the evening began to wind down Hilary presented us with some samples of those we liked and Mary went home with full bottles of Ambre Nuit, Mitzah and Dioressence. When Mary took her leave we both agreed it had been a great pleasure meeting over the perfume counter. We hugged goodbye and a new friend was found. Not quite ready to leave myself I sniffed around some of the other Dior fragrances that had yet to be explored, Jules, La Dolce Vita, and Dior Homme. 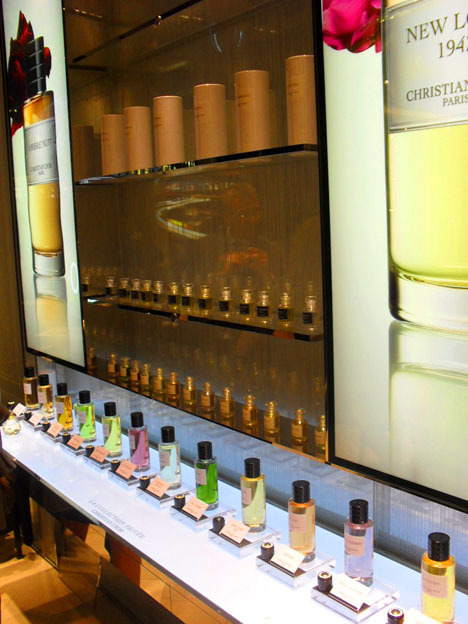 Yet after so many wonders I was on overload and a veritable walking perfume sampler. Thanking Hilary for the wonderful evening that I didn’t want to end she held me back for a moment. She caught his attention I turned to see a very tall handsome fellow with a beaming smile heading over to us. Hilary introduced me to Michal Gizinski, and mentioned to him that I was the writer of the Scents Memory blog. She added that the two of us should meet and perhaps do an interview. “Oh yes I would love that, anytime!” He said. With a wave and a wink I was off and out the door. New shoes clicking along the sidewalk off Stockton Street and in a layered cloud of Dior magic I embraced the beauty of the night and the joy one finds in meeting new friends.